Conner Coffin snuck up on everyone and took out the 2017 Vans World Cup at Sunset Beach. The Championship Tour star takes the win at Sunset Beach over Kolohe Andino and a pair of 2018 New Era Rookies, Griffin Colapinto, and as well as Australian Wade Carmichael. "I've been coming over to Hawaii since I was 12, I just love surfing here," said an emotional Coffin after taking the win. "It's always been a dream to win in Hawaii, I struggled with contest results in the past, but always had so much fun surfing here I knew I'd put it together at some point." The Californian, currently ranked No. 21 on the Championship Tour, has a strong affinity for the North Shore. Home may be Santa Barbara, but the Coffin family has had a second home on the North Shore for over a decade. 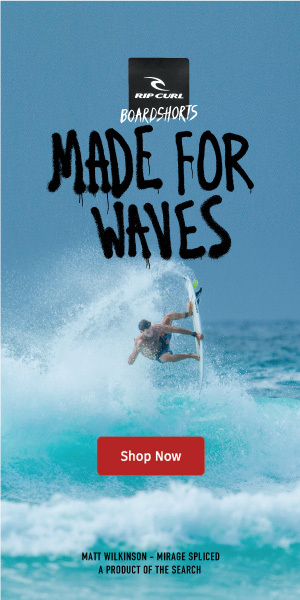 Conner, along with his younger brother Parker, have used their experience spending winters in heavy surf to launch themselves onto surfing's world stage. Coffin's victory over two other Californians, Kolohe Andino and Griffin Colapinto, and as well as Australian Wade Carmichael was the capper to a pressure-packed final day of the Qualifying Series -- a day with an abundance of compelling stories full of Championship Tour (CT) qualification and Triple Crown title implications. Colapinto and Carmichael had especially significant days in their young professional careers.